Be where your audience is. 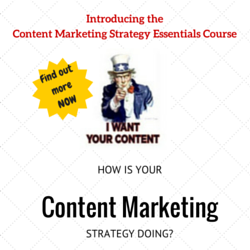 It’s a very common sentence used in marketing. You can hear it at events, read it in articles. The essence of this sentence is that you should try and communicate with your audience on the platforms they are on. Are they on Facebook, go there. Are they on Twitter? Go there. Are they not on Snapchat? Don’t go there. KLM is taking that advice. They went to Facebook Messenger. 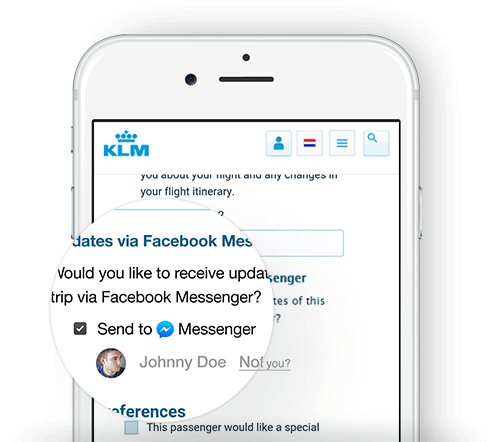 You can now check your flights and organize your flights by talking to KLM directly, using Facebook Messenger. Last January, Facebook reported that Facebook Messenger now has 800 million people using the app every month. Wow, that is a lot! 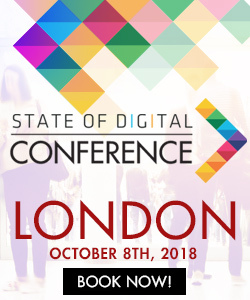 So it makes sense to look there when targeting audiences. After all, with such a big audience, your audience must be there. KLM is now the first to work with Facebook on this large audience. This week KLM announced the launch of its new Messenger service. It offers several services within Messenger to help make the passenger’s life easier. Passengers can book tickets, get updates, get their boarding cards and arrange flight details. Getting started with this is easy. All you need to do is access your booking or check-in on KLM.com. Do this in a browser you use Messenger in. KLM will then give you the option to get information through Messenger. It doesn’t seem to work on existing bookings as far as I can see, but you will probably have the option with new bookings. Unless this turns out to be an April Fools joke ;-). KLM is the first airline to start using Messenger in this way. Of course, this makes for great PR for both KLM and Facebook. Whether or not this will actually take off, we’ll have to wait and see. KLM however has the potential of making this work. All the ingredients are there. There is the big platform. The users are there and KLM has the resources. The question remains if people would want to use Messenger for this. Would you? Do you think Facebook Messenger is your next personal assistant? wow its great idea in messenger app. thanks for your updated information keep sharing more. Since April until now I’ve been using using KLM FB Messenger, “the KLM Indonesia Facebook Team” to be precise. I find it excellent ! The people (team) behind it, are very OK. My mother (76 y.o.) travelled alone from Jakarta to Minnesota on KLM/Delta. With aching lower back pain and leg, walking difficulty, I asked for wheelchair service. Initially I booked the ticket for my mother via KLM website as I had more freedom to choose from: date/day of departure, time, number and duration of layover, seat preference etc. … which (as we all know) affects the ticket price. The FB Messenger team was like a “backup” team to me. Whenever I needed more clarification, I asked the KLM FB Team, and they were there for me, any time of the day. Not immediate reply, but eventually got the reply and clarification. Well. this might sound like a promo-testimonial … but honestly I’ve got nothing to do whatsoever with KLM, never flew on KLM myself. As a matter of fact, I sent the KLM twice “suggestions” to improve the “user interaction” on their website. I believe, every airline should use the FB Messenger like KLM.